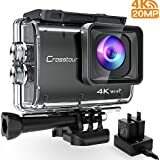 • ▶4K Action Camera&Sony Sensor - Recording at 4K/30fps, 1080p/60fps and shooting at 16MP high resolution with the support of SONY IMX179 Image Sensor. 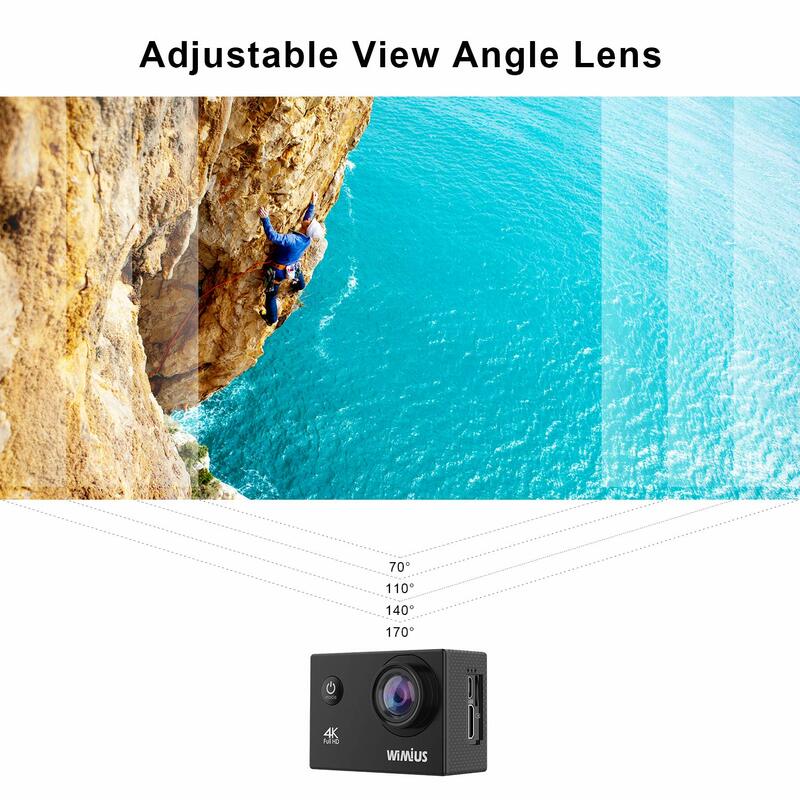 Combined with 170° wide angle make you capture more scenery from a wider and broader field of view. 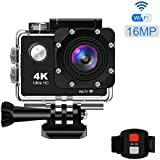 • ▶131 Feet Waterproof Sport Camera - Place your camera into the waterproof case and securely fasten it, you can dive below 40 meters (131 feet). 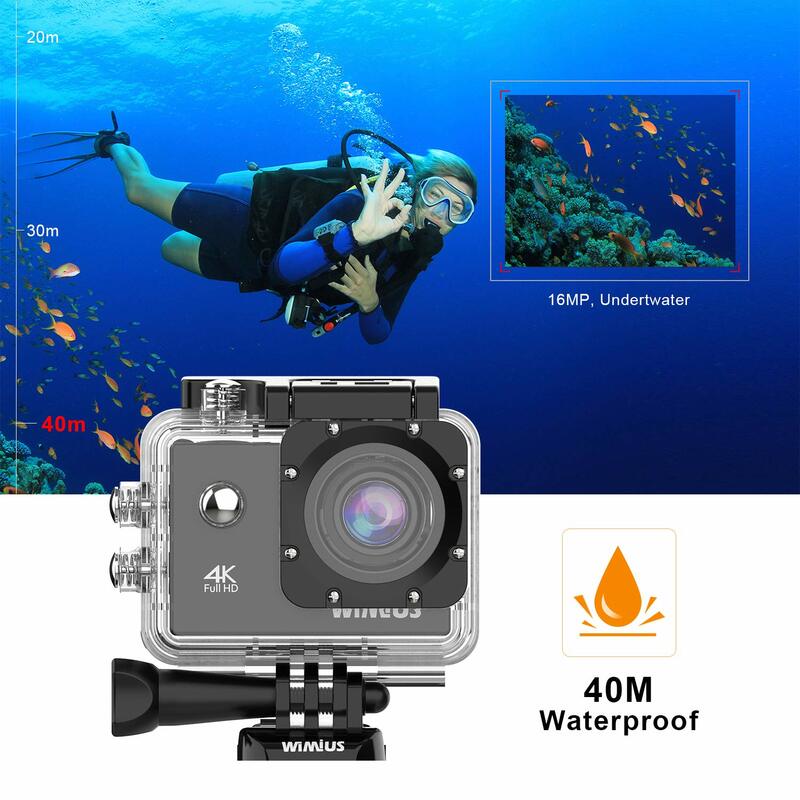 This underwater camera is ideal for outdoor sports such as swimming, surfing, diving, fishing, etc. 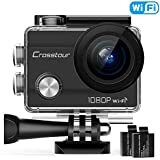 • ▶Built-in WiFi & HDMI Output - This WiFi sports camera is compatible with your smart phone or tablet. 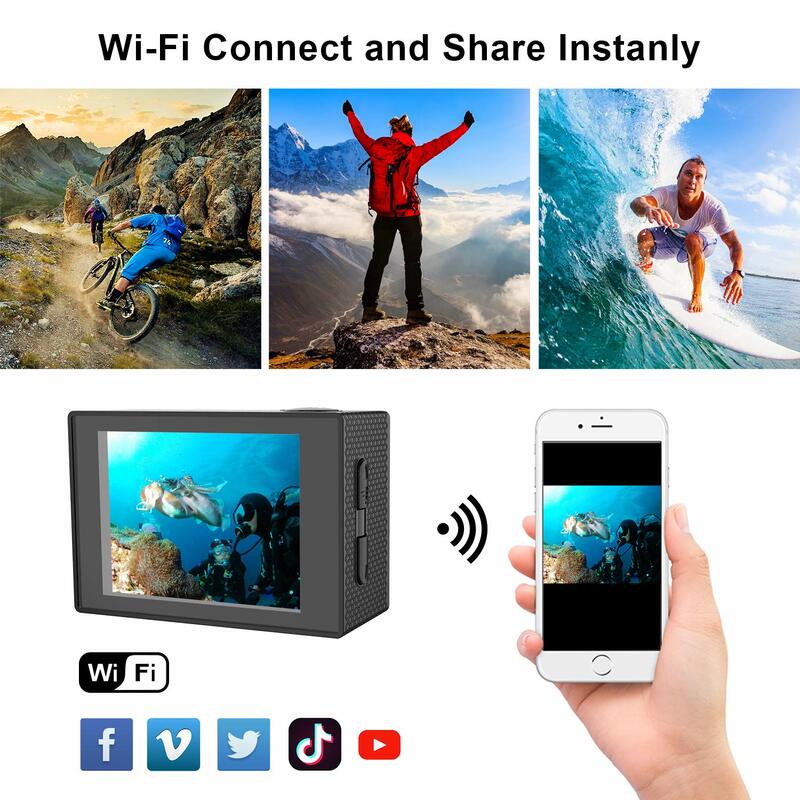 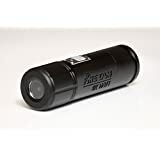 2.4GHz Wi-Fi provides a seamless connection to your smart phone/tablet via the “WiMiUS CAM” App to let you control this action camera from a distance. 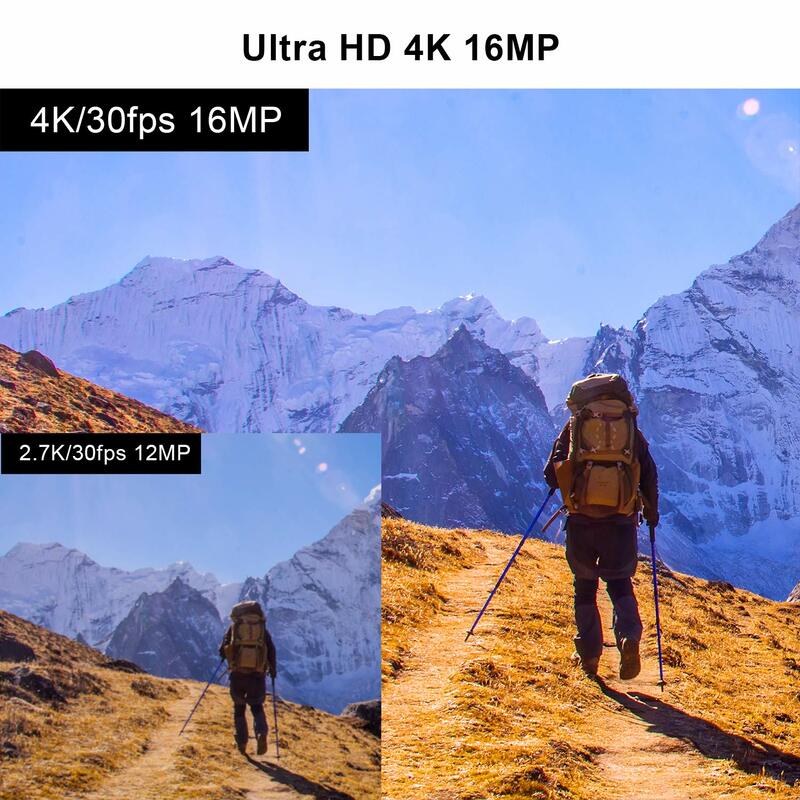 HDMI, USB and AV video output are available for connecting computers, TVs and projectors. 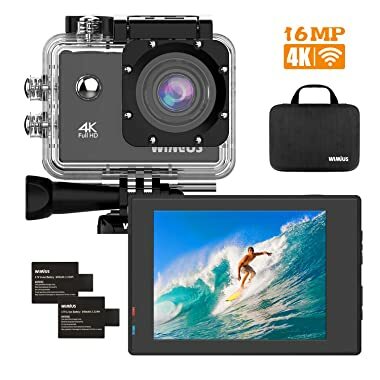 • ▶Versatile But Compact- This action camera features multiple functions including driving mode, image rotation, time-lapse, loop recording, slow motion, dramashot, exposure and white balance. 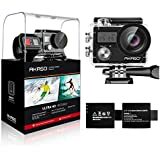 Bringing this sports camera to more applicable conditions beyond your expectation. • ▶Multiple Accessories - Comes with 2 rechargeable batteries and mounting accessories kit which available for most action camera even Gopro. 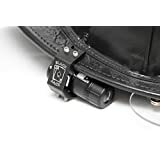 Multifunctional accessories enable you to mount your camera to helmet, bicycles, wrist, etc. 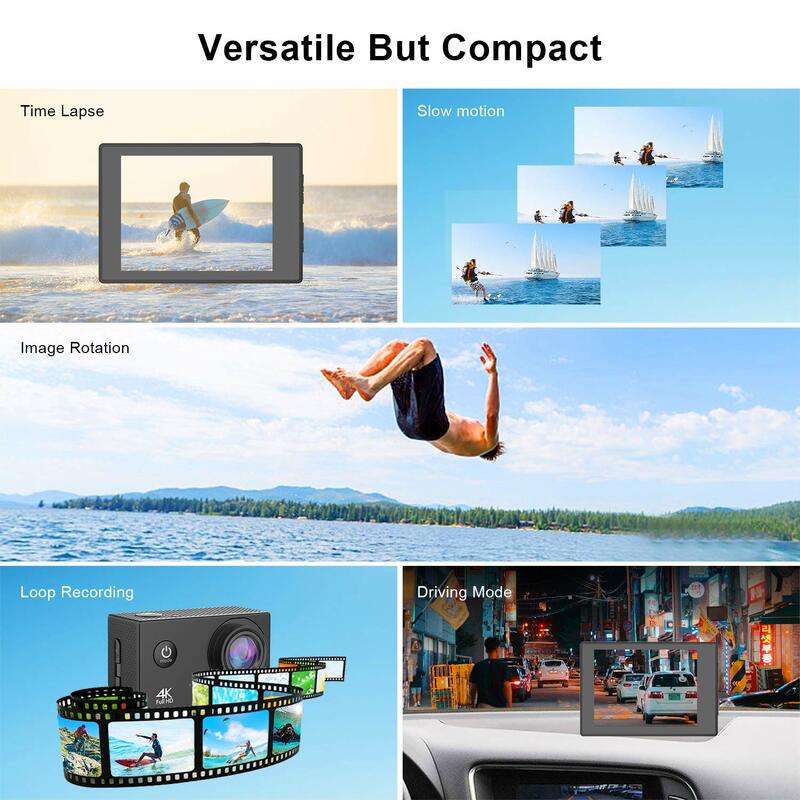 It makes you capture all that you like, giving you a bright and colorful world in your camera.